You may be familiar with the Oak Grove-Freedman’s Cemetery, located at the corner of Church St. and Liberty St. in downtown Salisbury. If not, let me give you a little background into what I’ve found to be one of the most significant symbols of unity efforts in our community. In 1998, a multi-ethnic group of citizens in Salisbury began an effort to preserve a grassy area across from Soldier’s Memorial AME Zion Church on Liberty St. This grassy is located on a hillside separated from the Old English Cemetery across from St. Luke’s Episcopal Church on Church St., and is the resting place of approximately 144 African-American’s who were both slaves and free. After years of frustration and disruptions to the land, the efforts finally paid off with a wall that was constructed around the cemetery in 1999 to preserve this sacred and symbolic ground. The site was given the name Oak Grove-Freedman’s Cemetery, and a granite wall was constructed to protect and preserve the final resting place of men and women dating back to 1770, most of whom remain unidentified. In 2005, a powerfully symbolic modification was made to the wall separating the Old English Cemetery – a white-only cemetery – and the Oak Grove-Freedman’s Cemetery. At first glance, it appears the wall was knocked down either by accident or as a result of vandalism. 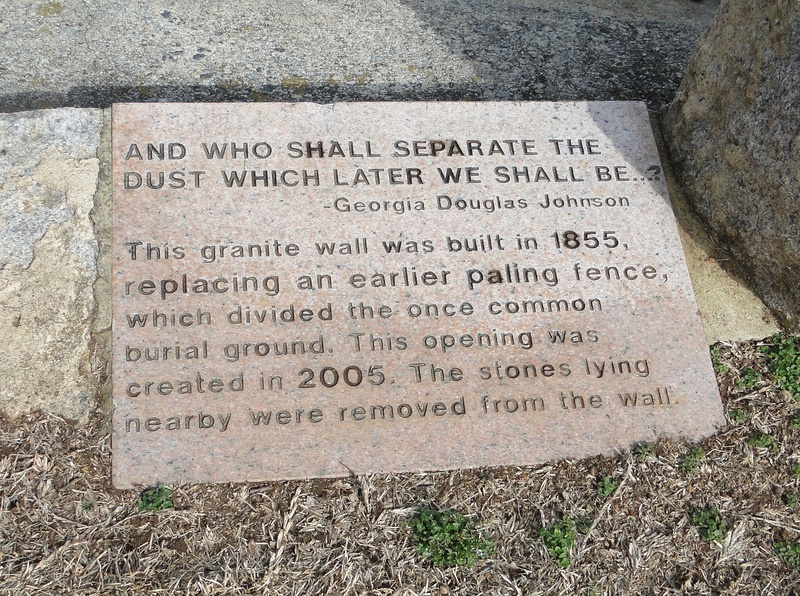 However, the broken wall and the opening between the two cemeteries was an intentional act to demonstrate the courageous steps that are being taken to bring healing and racial reconciliation to a city, a county and a nation with nothing short of a messyhistory. Although many figurative walls remain in our community, and although much more is needed to be done in the way of unity across our nation, symbols such as these are a beautiful reminder that what we are doing today is actually a continuation of something God has been doing in this community for a long time. And now, we get to carry that mantle as we see walls broken down between our Churches, because our community will never experience complete healing, reconciliation and unity apart from Jesus and His Church. The Church is the only thing that can replace the mess of our past with true beauty. This Sunday, we are honored to host a special Unity Gathering – the 2nd in as many months – alongside neighboring churches. Last month’s gathering, hosted by New Zion, was the fulfillment of months of conversations and years of prayer, and an important step in building bridges across ethnic, racial and cultural boundaries, and our goal is to continue these monthly at different locations across our community. As a part of our church family, I want to once again strongly encourage you to make every effort to not only be here Sunday, but to be part of our effort to host our community as well.